Script coverage, in a nutshell, is really just a short document that offers an opinion on a screenplay. When script coverage is good, it offers helpful suggestions and pulls no punches with its critique, and the writer or filmmaker receiving it can make improvements to their material. But when it’s bad? Well, it can be bad. A) The person reading the script and writing script coverage needs to have some familiarity with how screenwriting and films and television work. B) That person needs to have an opinion. C) That person needs to have a word processor. Which is why producers and agents have traditionally leaned on unpaid interns to read scripts and write coverage. Producers and agents just need to know if the script is decent, or good. Or if it appeals to the college kid haunting their office for school credit. So as you might imagine, in the real world, it’s extremely, extremely easy for script coverage services to exist. And so, there are dozens, if not hundreds of services offering script coverage services on the internet. I run one of them, Screenplay Readers. We’ve been around since 1999. But the difference between my company and many others is that we’re going beyond what “intern level” coverage and “script contest coverage” provides. That is, we provide more notes in our coverage, and we provide constructive suggestions, and our readers are vastly more experienced than the majority of script readers working for other companies. So when it comes to providing a bit of advice on what to look for when shopping for script coverage or development notes, we know our stuff, if we can say that without bragging. Of the dozens of script coverage services available on the web to writers and filmmakers, there is only a tiny handful that is worth your time and money — ours being among them. 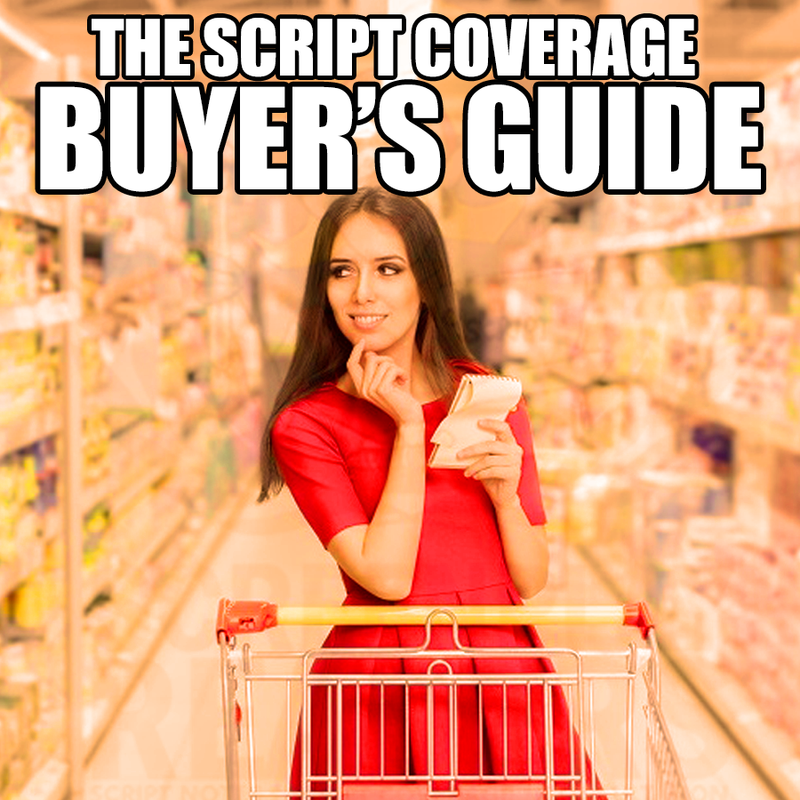 Here’s what to watch out for if you’re considering ordering script coverage for your script. 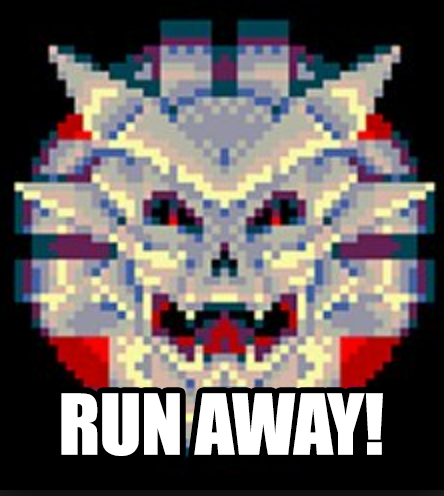 Hint: Put on your jogging shoes, because you’re gonna be doing a lot of RUNNING AWAY. First and foremost, when paying for script coverage, you should be able to know who’s reading your script if you want. Some writers prefer to not know, but everyone should have the right to make that choice for themselves. If a service doesn’t let you see who’s reading your script, or read a bio, or even know their name, then chances are, they’re having unpaid or low-paid interns or film newbies read your script for pennies on the dollar. There’s nothing wrong with college kids or film industry newbies reading screenplays for a few bucks, but (A) they’re not as knowledgeable or experienced as they should be, and, as a result, often provide very poor coverage, and (B) you have the right to know that fact before you spend your money. If a script coverage service just offers reader initials and a tiny blurb about the reader, they’re not being straight with you. Demand names, brief biographies of the readers so you know what kind of background they have, and photos if possible. People who aren’t proud of their work are the ones hiding being anonymity. If the script coverage service tries to get you to enter a script contest, RUN AWAY. The shame is that companies encourage and reinforce that belief in order to line their pockets. A script coverage service, or any company that provides script notes or feedback on your script, should do one thing and one thing only: read scripts and provide notes. If you’re being upsold and asked to join a script contest with the promise that “it will help your career” or “we will pass your script on to our powerful film industry contacts,” then you’re being a sucker. Don’t be a sucker. If the script coverage service throws conventions and seminars, RUN AWAY. Similarly, any company claiming to be focusing on feedback and coverage who simultaneously holds events that promise “networking” or “pitching to agents and producers” is a company that is betting that you’re another sucker — part the vast majority of aspiring writers who think that the only way to success in Hollywood is to pay $350 for a weekend in some hotel convention ballroom talking to 300 other aspiring writer-suckers who are in line to “network” with the convention’s star — usually the co-writer of an episode of a cancelled TV show, or an actor from a similar situation. The only networking you need to do is in real life. Out here in Hollywood or in any film town. Any convention or seminar or pitchfest you pay to attend is likely a time waster and a complete waste of cash. And if that company is *also* hawking script coverage services? Yikes. If the script coverage service doesn’t offer a guarantee, RUN AWAY. Running a script reading company for 20 years has taught me a lot. But one key takeaway has been that if a client doesn’t like their coverage and wants their money back, we still have to pay our reader who read the script and wrote that coverage. That means we spend a lot of time on quality control — keeping the quality high for every script coverage our readers write. That starts with not only hiring the best script readers and screenwriters, but *keeping* them. Script reading is one of those businesses where burnout is very, very real. Imagine reading 10 scripts per week and writing coverage for each one of them. Most people go bonkers. Yet, some of our readers have been with us for over 10 years. Why? Because we pay well and we make sure they’re happy. We let them work when they want to work, so burning out on scripts isn’t something that’s in their vocabulary. If they get tired of reading, they can take a break and come back whenever they want. All of that translates to high-quality script coverage. Which, in turn, allows us to feel absolutely comfortable guaranteeing the work we do 100%. Don’t like our work? We’ll fix it or you don’t have to pay for it. But if you look around at nearly all other script reading services popping up — they don’t have any sort of guarantee whatsoever. Don’t like their work? Sorry. You’re out of luck. If a script reading business doesn’t offer a guarantee, and you’re not made out of gold bullion, my advice is to save your money and the headache. If the script coverage service has a lot of fake testimonials, RUN AWAY. We started collecting testimonials (quotes from happy customers) sometime in 2006 or 2007. Back then, all we could do was copy and paste their quotes on to our website, because those quotes usually came in the form of emails. Of course, we’d always ask their permission first. So on our Happy Customers page, not only do we have some 250+ testimonials of the text-copy-and-paste variety, we also have happy tweets from our customers on Twitter, Google reviews, and yes, even the dreaded (and helplessly fraudulent bane to small businesses everywhere) Yelp. If a script service you’re thinking of ordering from doesn’t have testimonials, or if they look fake (for example, if all the quotes sound like they were written by the same person, or don’t have date stamps, or don’t list last names or even full names), you might want to reconsider your purchase. But also keep in mind that script coverage companies can purchase *fake* reviews on Yelp, Google, TrustPilot, or wherever. What you see when it comes to testimonials — all of it can be 100% phony. When judging whether a testimonial is real or not, read it thoroughly. Read the ones around it. Look at when it came in. Did the person who wrote the testimonial use their real name? Or just initials? The same goes for script services slapping logos from big companies on their website. They do it because big, recognizable logos of studios and well-known film companies, for some reason, help put dumb customers at ease. Seeing those logos, dumb customers think “Oh, this company is associated with those big companies! They must be okay.” When in reality, 9 times of 10, it’s the exact opposite and the service you’re considering buying coverage from has absolutely no connection whatsoever to that big company or studio. Bottom line – remember script feedback is free! In closing, we’d be doing a disservice to the folks reading this article if we didn’t remind them that feedback comes in many forms, and not just the kind you have to pay for at services like ours. Writers groups, meetups, and online forums are great places to get your script read by your peers — and sometimes folks higher up the ladder — and get some great feedback. We tell our customers on our front page and elsewhere on our website: Go get all the free feedback on your script that you can, and *then* if you still want feedback, come to us. The reason we’ve been in business for 20 years isn’t because we’re some faceless vending machine that takes peoples’ money and leaves ’em cold. In my opinion, businesses don’t last long if they engage in those kinds of practices. No, the reason we’ve lasted this long, especially in the face of countless imitators and new services popping up (some of whom buying our services and then *literally* turning around and starting their own businesses and copying and pasting our website text, services, and prices) — the reason we’ve lasted so long is because we genuinely believe and promote the feedback process as a whole, and we believe in free feedback most of all. Paid script coverage is not the only path, nor should it ever be. Keep that in mind when considering purchasing script coverage from anyone. But most of all, keep writing and keep getting feedback on your work. That’s the only way we can grow as writers. The goal, of course, is to not get ripped off on our way there. If you have any questions, or if I can help at all, post ’em in the comments below. I’m glad to help!